After a long long time, I have finally painted a Romaninan landscape. I wanted to paint it as much realistic as I can paint. It ended in a beautiful classical realist landscape with a touch of surrealism. 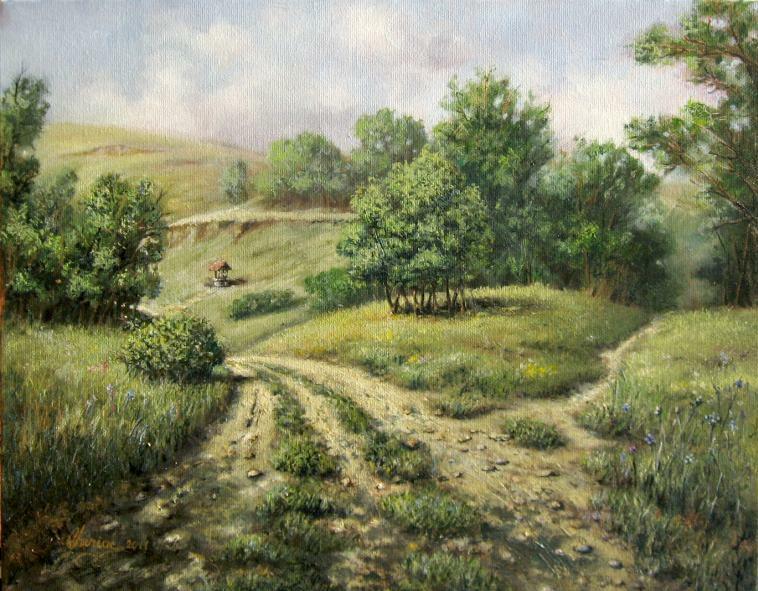 This is a landscape oil painting of a Romanian nature scene. One of my collectors commissioned me to paint a landscape. Well, because the collector is a Canadian citizen of Romanian origin, I thought that the best location of this landscape should be a Romanian scape. So, I went around the city to find a nice view and I find this one that I painted on this oil painting – Romanian landscape. I done it using the classical painting techniques : underpainting , glazing and so on . ← All my paintings for sale on eBay! So gorgeous, Daniel! Just beautiful, so pastoral and serene. You have such a gift!